I can always tell when a blog post is churning. These threads float around in my head and I know when I sit down that they will somehow come together as I write. It feels like straining at those pictures that eventually jump out at you, and often for me I finish the blog with comfort that I desperately needed as I began to write. This week I keep thinking about what we do when things are hard, or confusing. The world has the perspective that hard = bad, especially in this comfort-seeking society we live in. For example, let’s take the topic of having children. When it comes to children, our society seems to have the perspective that children are expensive and time-consuming, and they limit your freedom. I read an article written by Ben Stein for CNN Money, that I couldn’t believe wasn’t satire, that talked about the diminishing return of investment in children, and how that is justification for the declining birth rate in our nation. Let that sink in for a second. If you don’t think that has major implications and explains where we are as a society, you are wrong. But it plays out on a micro level as well as a macro level. I have had people treat us like the Duggars for our 3 children, and when I’ve mentioned that we want to adopt more a person rather close to me said, “Why would you adopt when you can’t even take care of your own three?” I guess in her mind since we don’t live extravagant lives and our children don’t get everything they want, we aren’t caring for them. Like living in our home is worse than whatever orphanage those kids currently occupy. It was a bizarre moment for me. Because a Biblical world view doesn’t see children as too hard to take on. As a Christian, valuing children based on their benefit to our lives isn’t an option. They aren’t just an investment that we can measure on a graph. A Christian values children because God told us to. We take the Bible seriously when it says “Children are a blessing and a gift” (Psalm 127:3). I look at each of my girls and tears press against my eyes as I see their value. There is no limit to how precious they are. Yes, parenting three children is HARD. One is climbing up me now as I type this (so blame her for any and all typos). When we adopt it will be HARD. Some days, marriage is HARD. Ministry is HARD. Faith is HARD. Eating well is HARD. Friendship is HARD. Taking time for Sabbath is HARD. But that doesn’t mean any of it is wrong. Just because it is hard doesn’t mean it is wrong, or I am bad at it. If I’ve learned anything in 25+ years of faith and 15+ years in ministry, it’s how complicated and confusing and downright hard the Christian life can be. And all the clichés about faith that I’ve heard most of my life are patently false. God won’t give you more than you can handle. False. God wants to bless you because He wants you to be happy. Nope. Those are sweet ideas. They make excellent crocheted pillows. But they aren’t the Christian life. 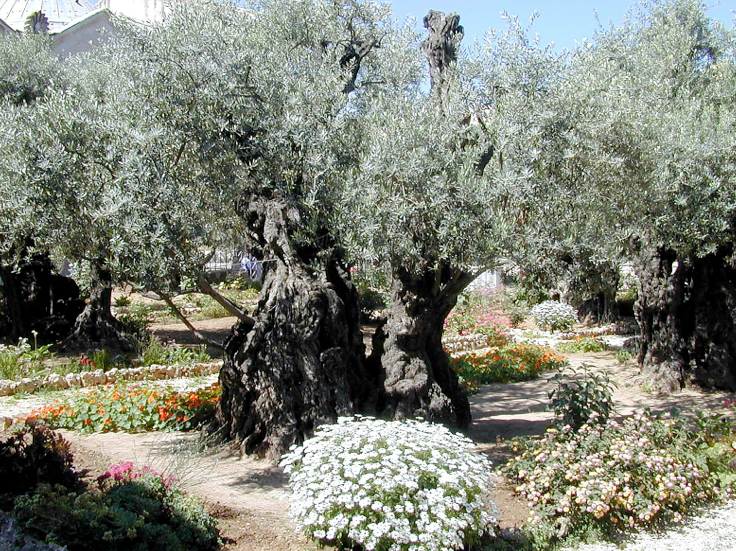 The Garden of Gethsemane, where Jesus went to pray before his crucifixion. Maybe you’re like me, and things are just hard in life now. And even the options to get out of where you are seem hard. It can feel pretty lonely in that place, and pretty forgotten. But we serve a God who gets it. He took the path through Gethsemane, He gave up the comforts of heaven, He was spit on and mocked and beaten and whipped and eventually killed. It was hard, but it was also good. Jesus saved humanity when He faithfully walked through the hard. And he asks us to follow him, keep walking, and trust him. Keep walking. Try to trust. Turn to Him. Sometimes that is all we can do. And I have to believe God will redeem it. Lord, you know well I am a self-reliant, pull-myself-up-by-my-bootstraps kind of person. I hate to fail. I hate when things are hard. And lately, there’s been all kinds of hard. I fail daily. And I confess anger toward you sometimes over how hard things are. Sometimes I feel abandoned. But I know those feelings are not the end of the story. I know you have not forgotten us or abandoned us. Please forgive me for all the times I’ve doubted you because it’s hard. Forgive me for all the times I’ve doubted me when it is hard. I trust you. I don’t know what’s next. I don’t know a way out. But I trust you. We need you – and I know that is good. I’m thankful that you never leave or forsake me. Thank you for doing the impossibly hard work of purchasing my redemption. Thank you for every single thing in our world that is hard. I know you have a purpose in every moment, and I wait for you. Please be near to us even in the hard circumstances of our lives. Like in the “I want my family to be best friends with him and his wife and his beautiful baby girl and hang out on weekends” kind of way. I think he is brilliant, hilarious, creative, and most of all, winsome. If you watch Late Night, one thing you will quickly notice is that Jimmy Fallon isn’t polished or cool – in fact he’s hilariously awkward at times. He is a genuine fan and encourager of the people who come on his show, and they are put immediately at ease because he shows a love for their art. His show isn’t about him and his ego and his sense of humor. It is about them, and having fun, and enjoying life, and it works. 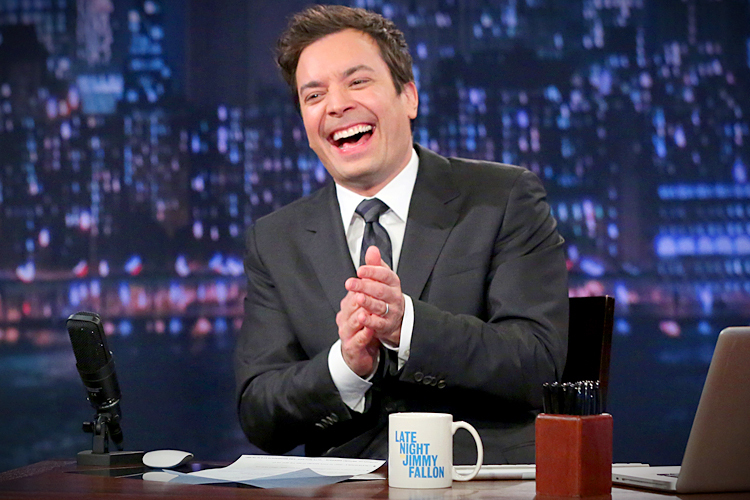 So often, when I think of Jimmy Fallon, I think, “That’s the kind of Christian I want to be.” I want to be winsome. I think as a culture we’ve lost that art. Look at the comment section of any article and you’ll see just how far we have fallen from speaking to one another with respect, joy, and encouragement. (I mean really, who are these people who comment such vile things?) Even as Christians, so often we aren’t concerned with being winsome as much as we are concerned with being right. And yes – truth is important. But truth delivered without love and humility isn’t received by the hearer. I think by doing this one little thing, by communicating to the world around us with love and with almost childlike enthusiasm and charm, we can demonstrate a radical difference from the culture at large. And maybe then they’ll be interested in what makes us different. I’m working on being winsome. I think it is an easy way to love the world well. I want to draw people in and make them feel at ease, like my future best friend Jimmy Fallon does. I read an article in a Worship Leader magazine today that really impacted me. It was a story about a woman in her late 60s who was diagnosed with Congestive Heart Failure after several months of shortness of breath, weakness, and feeling shaky. Her doctor explained to her the function of the heart: that the ventricles which are responsible for pumping blood throughout the body must also relax in order to be refilled after each pump. For her, disease had hardened her ventricles and her heart was no longer able to relax and receive the quantity of blood she needed to pump out. So fluid was getting backed up in her body and her life was in jeopardy even though her heart was technically pumping with strength. The magazine used her story to illustrate the need for rest and silence in our spiritual life, and it hit home with me. I am a wife, mom of three, a student finishing my degree, and a very part-time producer. I have been proud of myself for my ability to juggle all of these balls and get it all done. 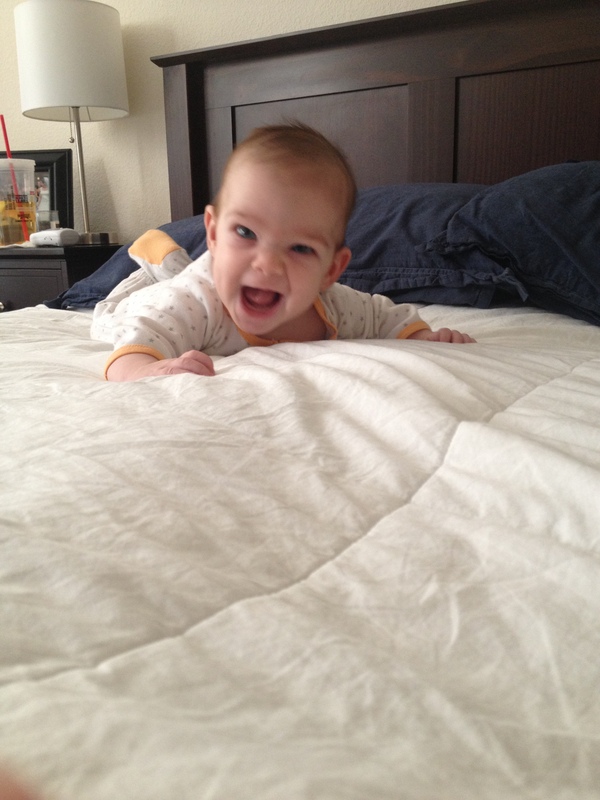 I have started cooking more, and am breastfeeding my baby girl – both things I had longed to do. Tasks and projects keep getting added to my agenda and I am getting a good portion of them done (and doing a decent job at squashing the guilt from the things I just can’t get to). It’s not pretty – but I’m working hard and accomplishing quite a bit more than I ever thought I could. So I should feel really accomplished. But I feel tired, out of breath, weak, and shaky. My eyes fill with tears at the strangest times. I keep looking to my husband to help make me feel better. Maybe he can take me on more dates, or bring me flowers, or write me a sweet note. But he’s busy (his task-list each week rivals or surpasses mine), and I still need more. So I go to church, thinking that just one more worship service, a chance to raise my hands in praise, a sermon that will inspire and convict will get me back on track. But so often I leave church in tears. I still feel crummy. It was exhausting getting our kids up and getting them there, the baby was restless in service so I heard about a fourth of it, and it just didn’t do the trick. Today when I read the article it hit me. 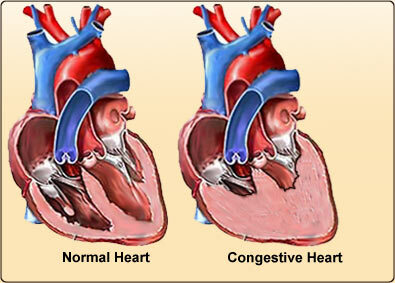 I am a girl in congestive heart failure. I am pumping out as fast and furious as I can, but I’m not filling up. I can’t get a deep breath. I am shaky. When you are diagnosed with CHF, the goal is to get the blood efficiently moving through the heart again. This means, if possible, reversing the damage to the ventricle so that it can relax and fill normally. You need to get the blood pressure down, the heart rate stabilized, and the fluid balance of the body back to a healthy set point. But for people like us, in spiritual congestive heart failure? What is the remedy? There are good reasons why Justin and I do all of the things we do. We think each one is necessary for our family’s survival and right now I can’t think of one thing that I can drop without serious consequences. But I think we need to look to Jesus as our example. There was nobody in history with a more vital purpose on earth. He literally came to seek and save that which was lost. His mission was to redeem humanity yet the Bible is clear He took time away to pray and sit in silence. He slept. He rested. He is never portrayed in Scripture as panicked or frantic. In fact, He was almost always infuriatingly calm. How can I think that the things on my list are so important that I don’t have time to rest when I have a Savior with tasks infinitely more important who modeled rest for me? And how have I forgotten the truth that Jesus is all I need so much that I am relying on my husband and church to fill me up when I feel empty? I’ve clearly lost my way here. Somehow, I have to start receiving from the Lord the rest I need to do the important stuff in my life with health and not just efficiency. I’m not sure exactly what that will look like. I’m not sure what things we need to extricate ourselves from. I’m not sure what balls I need to just let fall to the ground despite the consequences. But I’m planning to sit here for a bit in silence until the Lord reveals it. Because I feel like I can’t take a deep breath, and I know living in spiritual CHF is not God’s best for me, my husband, or my kids.